The Considerate Constructors Scheme is keen to formally recognise and promote the relationships it has with other organisations from across the construction industry who are working hard to raise standards and improve the image of construction. Scheme Supporters work alongside the Scheme to promote best practice across all sectors of the industry; raising awareness of relevant initiatives, campaigns and other key activities, and supporting those registered with the Scheme in being a more considerate constructor and caring for the general public, those who work in the industry and the natural environment. Scheme Supporters appreciate the impact that the Considerate Constructors Scheme has on UK and Irish construction and the benefits of registration, and encourage all those working within construction to support this valuable initiative. With over 48,000 members the Chartered Institute of Building (CIOB) is the international voice of the building professional, representing an unequalled body of knowledge concerning the management of the total building process. CIOB members are skilled managers and professionals with a common commitment to achieving and maintaining the highest possible standards. Being a Scheme Supporter is a no-brainer for the CIOB. We are committed to seeing sites operate in the best possible ways within our communities. We also feel that the Scheme is another valuable tool in the professional development of site based personnel. Constructing Excellence, including the Construction Client’s Group, is an enabler for improved industry performance to deliver better built environments. Our work involves gathering and sharing the evidence for successful innovation, providing guidance, training and other services, and leading and influencing all stakeholders including government. Our approach is totally inclusive, pan-sector, cross supply chain, whole life cycle, interdisciplinary, and whole industry – large and small. It is a bridge between industry, clients, government, research and training organisations at national, regional and local levels as well as internationally. National members of Constructing Excellence are leading-edge clients, contractors, consultants, specialists and suppliers committed to our values of independence and objectivity in the pursuit of excellence through continuous learning. I was personally closely involved in setting up the Scheme in 1997 and so I am delighted to confirm the support of Constructing Excellence for the Scheme, which continues to make a big difference in the management of sites as well as their presentation to local communities. Constructionline is the UK’s largest and only government owned pre-qualification certification scheme. As a centralized database of pre-qualification information, Constructionline helps buyers and suppliers reduce pre-qualification duplication – saving the industry £millions per year. Furthermore, through its national programme of ‘Meet the Buyer’ events, Constructionline also helps contractors, consultants and material suppliers meet face-to-face with key procurement decision makers in their local areas. To find out more and register, please click here. The National Federation of Builders (NFB) is a modern, proactive trade federation which represents small to medium-sized (SME) builders, contractors and house builders across England and Wales. As one of the UK’s longest standing trade bodies, it was created to represent the building profession and to help create conditions for its members to thrive and contribute to the economic success of the UK. The NFB is proud to be a founder member of the Considerate Constructors Scheme. Our shared values make Considerate Constructors an ideal partner with who we, and our members, can work to improve the image of the industry. The Association for Project Safety [APS] is a professional body dedicated to eliminating deaths, reducing injury and tackling ill-health associated with construction. APS aims to improve, and promote excellence in, professional practice in design and construction health and safety risk management, helping everyone manage risk and implement building regulations effectively and proportionately. The association contributes to the national debate on building and infrastructure safety, regulation and legislation, providing training, education and support and member networking opportunities. APS works with other bodies and partners to improve – through good design and throughout the life-cycle of projects and buildings – health and safety for everyone involved in construction and use. APS is delighted to support the Considerate Contractors Scheme and endorses its goals all of which contribute directly to achieving our goals; namely to ensure and protect the safety, health and welfare of everyone connected to a construction site whether working on, living near, or inhabiting the completed building; during the construction, throughout the lifetime, and the decommissioning of any project. Occupational hygiene is the scientific discipline that protects people against the wide range of health risks that can arise from exposures to hazardous substances or conditions at work. BOHS, The Chartered Society for Worker Health Protection, is the learned and professional society for occupational hygiene in the UK. Its aim is simple, a healthy working environment for everyone. With 1800 members from across industry, health, education, government and research, BOHS brings together those involved in the science and practical application of occupational hygiene, it champions and facilitates the development of professional competency and promotes the science and practice of occupational hygiene worldwide. The Faculty of Occupational Hygiene within BOHS plays a vital role in developing and maintaining the professional standards of occupational hygienists, and is the internationally recognised examination board for qualifications in occupational hygiene. It awards the coveted professional certification of ‘Chartered Occupational Hygienist’. BOHS is delighted to be a supporter of the Considerate Constructors Scheme to promote a positive image of the construction industry. The Scheme’s focus on ‘caring for the workforce’ has particular synergy with Breathe Freely, (www.breathfreely.org.uk) the BOHS led initiative in partnership with Constructing Better Health, Land Securities, Mace and the HSE, which aims to help prevent lung disease in construction workers. Promoting good practice and high standards in all areas of construction management is vital for the viability of the industry, and within this, raising the importance of worker health protection up the health and safety agenda through a collaborative approach is an objective that we both share. The Builders’ Conference are a not for profit trade body established in 1935, dedicated to providing services to the construction industry. It is operated by builders for builders, with its aims and objectives to reduce industry inefficiencies and introduce best practices. Our members work throughout the construction industry including main contractors, subcontractors, product suppliers, manufacturers & professionals consultants. We believe the Considerate Constructors Scheme is incredibly important to our members & the wider construction industry as it encourages everyone to maintain high standards on building sites. All construction work can be disruptive no matter where it is located, therefore having a code of considerate practice in place gives everyone a benchmark to work to. Best practice is essential for the construction industry in all forms. Builder’s Profile is the comprehensive open-access service that manages compliance & PQQ information. For Main Contractors, Builder’s Profile reduces the costs of administering, improving and maintaining supply chain information. For Subcontractors & Suppliers, the simple service provides one convenient place to store, organise and publish PQQ information. The Builder’s Profile ‘zero barriers to entry’ concept was created to alleviate the duplication associated with the exchange and maintenance of PQQ data. It has evolved into a complete supply chain solution that can integrate with and complement any: main contractor, audit partner or industry procurement and supply chain management service. Our vision is to create and enable an ecosystem that improves diversity, increases competent labour supply and maximises economic and social value across the Built Environment. We are a social enterprise. We don’t believe in reinvention or duplication; collaboration is a core value. BuildingPeople joins the dots across industry by connecting, adding value to and amplifying the voices of existing initiatives. BuildingPeople is committed to working closely with all stakeholders to simplify access to work, learning and support opportunities across the Built Environment. Our belief in a collaborative and inclusive working environment fits well with the best practice enabling principles of the Considerate Constructors Scheme. We are proud to support and promote the Scheme, and to work closely together to enable more people to successfully access more opportunities within our industry. The Civil Engineering Contractors Association (CECA) is the representative body for companies who work day-to-day to deliver, upgrade, and maintain the country’s infrastructure. With more than 300 members split across eight regions, CECA represents firms who together carry out an estimated 70-80 percent of all civil engineering activity in the UK, in the key sectors of transport, energy, communications, waste and water. CECA are committed to encouraging good practice and raising standards across the Infrastructure sector, and therefore are proud to support and promote the principles of the Considerate Constructors Scheme. Creating a positive image of the construction industry can be a challenge, and the standards of safety, accountability and respect that are championed within the Code of Considerate Practice are ones that all companies should strive to achieve. The Considerate Constructors Scheme has been a huge asset in both improving the way building projects integrate with their Local Community and representing the industry in a most positive light. CIC has been a member of the parent company that owns the Scheme since its inception and remains a strong partner and supporter of the scheme. We are confident it will continue to grow and play an important part in representing the best of the industry. *Construction Industry Council is a Scheme Supporter in their own right, they are also shareholders and one of the owners of Considerate Constructors Scheme Ltd. Please click here for information on the structure of ownership of the Considerate Constructors Scheme. Construction Industry Publications (CIP) has been supplying construction companies and other construction related organisations with Health & Safety, Environmental, Contractual and other relevant publications for over 40 years. We work closely with the major contractors to publish up-to-date Health, Safety and Environmental guidance and best practice for the industry. CIP is delighted to support the Considerate Constructors Scheme as we recognise their commitment to ensuring construction sites are safe, well run and adhere to the best possible environmental standards. The Scheme’s unique approach, utilising the Code of Considerate Practice, is one which has proved extremely successful in encouraging construction companies large and small to participate and by so doing to raise standards across the industry. CITB is the industry’s training board for England, Scotland and Wales. We are delighted to be working in partnership with Considerate Constructors Scheme (CCS) to promote a positive image of the industry. We want to break down outdated perceptions of skills and careers in construction. Part of this is showcasing the many fantastic opportunities on offer and encouraging entrants from diverse backgrounds. Our partnership allows us to work closely with CCS to address skills shortages in the sector, challenge industry stereotypes and recruit the next generation of talent. It’s great to see organisations which have the reach and influence across our industry work collaboratively to promote construction as an exciting and rewarding place to work. 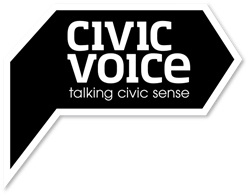 Civic Voice is the national campaigning organisation and the lead voice for the civic movement in England. Established in 2010, Civic Voice has over 75,000 members nationwide and is supported in Parliament by the All Party Parliamentary Group for Civic Societies. Current activities include campaigning for changes to the National Planning Policy Framework; unlocking community support through collaborative planning to shape local development; and a national Design Awards to recognise and reward excellence in design, restoration and public realm works. Corporate membership and sponsorship opportunities for Civic Voice are available on application. Civic Voice is delighted to be a supporter of the Considerate Constructors Scheme to promote a positive image of the construction industry. We look forward to working more closely in the future. Class of Your Own (COYO) is the UK’s most innovative and successful social enterprise for education and the built environment, providing accredited learning programmes and teacher training. By bringing together educational establishments, the construction industry and young people, COYO inspires and equips the students with the academic knowledge and real world, practical skills that employers in the sector need. Design, Engineer, Construct! (DEC!) is a fully accredited learning programme at GCSE and A Level for secondary-school age students and has been expertly developed to create and inspire the next generation of digital built environment professionals. Through a project-based approach, DEC! applies pure academic subjects to the latest construction industry practices including BIM. The result is young people with real-world practical experience and employability skills. We are delighted to be able to promote DEC! alongside the work of the Considerate Constructors Scheme in promoting a positive image for the sector whilst looking forward in equipping and supporting the next generation of digital built environment professionals. Many of our schools are near to projects which endorse the scheme and all of our industry partners are also involved, so this is a very good fit for us. The Considerate Constructors Scheme is very important in improving the reputation of construction and ensuring sites are operated to high health, safety and environmental standards whist being good neighbours and supporting the local community. *Construction Products Association is a Scheme Supporter in their own right, they are also shareholders and one of the owners of Considerate Constructors Scheme Ltd. Please click here for information on the structure of ownership of the Considerate Constructors Scheme. CRASH is the construction industry’s charity. We are a practical charity that channels the expertise, products and generosity of the industry to create places that care for vulnerable people in homelessness projects and hospices. CRASH receives no Government funding. As the industry’s charity we rely entirely on support from organisations within the construction sector which is why our partnership with Considerate Constructors Scheme is so valuable to CRASH. There is already a great deal of exemplary work being done in the industry – especially around community involvement – and CRASH is delighted to be a Scheme Supporter and help promote this further. We believe that working together we really can make a difference to the lives of people who need our help the most. The Cross-Industry Construction Apprenticeship Task Force was launched in Westminster in December 2007 by Sir Michael Latham Chair of CITB and David Lammy MP the Government Minister responsible for Skills. The clear and overarching single ambition was to unite the construction industry and inspire and engender a cultural change in employer’s behavior towards training and skills development. This change could support an increase in the number of apprenticeships starts which was vital in order to reduce the forecast skills gaps as then predicted by the Construction Skills Network data. To champion the ethos and culture of training within the construction sector by working with industry peers and stakeholders; to encourage those not training to do so and those that train to do more by promoting the benefits and value that hiring an apprentice can bring. We are delighted to endorse and support the exceptional work of the Considerate Constructors Scheme in promoting a positive image for the construction industry. The Scheme recognises not only the importance of our image but also the significance and interfaced with training, skills and workforce development. A positive consequence of this approach contributes to increase the quality and quantity construction locations where apprenticeship opportunities can be delivered. The Electrical Contractors’ Association (ECA) is the UK’s largest trade association representing electrical, electrotechnical and other engineering contractors in England, Wales and Northern Ireland at regional, national and European level. ECA member-companies are rigorously assessed before membership is approved. Member firms have a combined turnover in excess of £6 billion annually. Member firms carry out design and installation activity across domestic and commercial sectors. This ranges from power and lighting to data communications, to energy efficiency and renewables, as well as the design and installation of cutting-edge building control technologies. The ECA’s 2,800 members range from SME electrical firms to nationwide engineering contractors and building services firms that employ thousands of professionals on major UK projects. The ECA is delighted to link up with the Considerate Constructors Scheme, and we look forward to promoting its ‘Code of Considerate Practice’ across the building services engineering sector. Grown in Britain is a not for profit organisation that was created in 2013 to create a sustainable future for the UK’s woods and forests and engage society, construction companies and all wood users with a fantastic homegrown, low carbon and renewable material. Grown in Britain is backed by the government and led by industry and has enjoyed a rapid rise to prominence with virtually all the major construction companies and many developers and clients preferring Grown in Britain licensed timber. The Grown in Britain brand is fully trademarked and can only be used on wood that has been fully licensed through a simple but rigorous process that assures the wood as meeting the government’s timber procurement policy and is from woods and forests managed in accordance with the government’s UK Forestry Standard. The Considerate Constructors Scheme has been a great partner to Grown in Britain which is listed here on the CCS Best Practice Hub and featured in the article here on the Scheme’s website. The Institute (formally Partnership Sourcing Limited- PSL) was established in 1990 as a joint initiative between the Department of Trade and Industry (DTI) now BIS (Department for Business Innovation and Skills) and the CBI (Confederation of British Industry). It is totally self financing operating as a not-for-profit organisation. The Institute’s continuing role is to help organisations, large and small, in both the public and private sectors, to build and develop effective competitive business relationships based upon a collaborative approach. The Institute provides practical guidance based on a wide portfolio of experience utilising knowledge from extensive relationships within the commercial, Government and academic arenas. The Institute is the thought leader and driving force behind the development of BS 11000 Collaborative Business Relationship Framework, the world’s first Standard in relationship management, published by BSI – the British Standards Institution based on the CRAFT methodology developed from the collective experience of the Institute’s Executive Knowledge Network. We at ICW see the Considerate Constructors Scheme as a valuable benchmark to promote and maintain best practice it also highlights the need for collaboration between organisations of all sizes working in construction to create safe and productive environments for the workers and the communities they serve. LABC (Local Authority Building Control) is a membership organisation representing all local authority building control departments in England and Wales who work with industry and building professionals to ensure compliance with the Building Regulations. We are a not-for-profit organisation dedicated to promoting public sector expertise and our 3,000 local authority surveyors provide a consistent national service that is delivered at a local level. LABC is pleased to work with any organisation that helps contractors to improve their practices and especially the way they manage building sites. This is an area where everyone in the industry has seen major improvements and LABC is keen to support the drive to bring more small contractors into the scheme. We hope to see Considerate Constructors continue its success. Right Waste Right Place’ is a national campaign launched in 2016 to raise awareness amongst waste producers of their legal responsibilities for managing their waste – the waste ‘Duty of Care’. The campaign and website rightwasterightplace.com provide good practice tools, practical information and guidance to help businesses from a broad range of sectors ensure compliance. The campaign highlights that complying with ‘Duty of Care’ legislation can not only help cut off the supply of waste to criminals but can also save businesses significant amounts of money by more effectively managing their waste. The Scottish Building Federation (SBF) has served the construction industry in Scotland and in particular our member companies, since 1895. We represent the interests of the construction industry in Scotland to a diverse range of stakeholders and are the leading employers’ federation in Scotland, representing construction companies from Orkney to the Borders. SBF represents the industry’s views across a wide range of issues including procurement, planning, infrastructure investment, housing, environment, training, health and safety, and employment. We are also heavily involved in upholding high standards of workmanship and promoting the image of the construction industry to raise its’ profile. Ultimately the overall aim of SBF is to ensure that the importance of the Scottish construction industry to Scotland’s economy and society is recognised and valued. SSIP provides confidence in first stage safety capability assessments by developing the SSIP core criteria and ensuring a consistent, reliable and quality-controlled standard of assessment via qualified, competent, assessors. We are actively reducing health and safety assessment costs and bureaucracy in the supply chain, by making cross-recognition between member schemes as effective as possible, and highlighting the savings to buyers and suppliers. SSIP actively encourages the standardisation of prequalification criteria including PAS 91, and other common industry standards. As part of our membership criteria all Registered Members & Certification Body Members agree that assessment information will be made available via the SSIP Portal for the purpose of third party verification of suppliers’ membership of an SSIP accredited competence assessment scheme and we are pleased to advise the SSIP Portal currently provides verification access to over 69,000 suppliers. Safety Schemes in Procurement (SSIP) Ltd are delighted to be a Scheme Supporter of the Considerate Constructors Scheme and look forward to working closely together and encouraging best practice within supply chain management. The Supply Chain Sustainability School is an award-winning industry wide collaboration, led by our Partners and Members, whose vision for the School is to be “a world class collaboration to enable a sustainable built environment”. The School is completely FREE and allows you to access training in five different areas: Sustainability, Offsite, BIM, Lean and Management. We offer training and networking events, CPD-accredited learning, self-assessment tools with bespoke action plans, e-learning modules and other various training resources, all in one School. We also deliver the industry’s Fairness, Inclusion & Respect (FIR) Programme. There are few programmes that can claim to have improved the industry as much as Considerate Constructors. We are proud to be a supporter of the Scheme and welcome the Considerate Constructors as one of the Supply Chain Sustainability School’s valued knowledge Partners. We look forward to progressing the industry together. As the UK’s leading youth charity, The Prince’s Trust gives vulnerable young people the practical and financial support needed to stabilise their lives, develop self-esteem and the skills for work. Every day The Trust helps over 150 young people in the UK to realise their ambitions and transform their lives. Your industry is facing a skills shortage and is looking for work ready young people to enter your workforce. The Prince’s Trust’s works with disadvantaged young people across the UK who are desperate for work. The Prince’s Trust’s Built Environment Leadership Group (BELG) is trying to bridge that gap. The BELG brings together leading firms and key decision makers from the built environment sector to help fund and facilitate The Trust’s highly effective Get into programmes, which target the hardest to reach young people and equip them to move into jobs in construction, facilities management and environmental services. We are delighted to be working in partnership with the Considerate Constructors Scheme to help disadvantaged young people into work through our Get into Construction programme. Do get in touch if you’re interested in how The Prince’s Trust can help your business demonstrate best practice with CCS. The Scaffolding Association is a not-for profit organisation which has been founded to improve the understanding, safety and standards of scaffolding across the construction industry. We strongly believe that all companies within the scaffolding industry should have access to an organisation which will provide them with guidance and support, irrespective of their levels of competence or development. Transport for Greater Manchester (TfGM) is the transport delivery arm for Greater Manchester Combined Authority (GMCA) and its Transport for Greater Manchester Committee (TfGMC). TfGM oversees transport and travel across Greater Manchester, home of the UK’s largest regional economy outside London and a diverse population of over 2.7 million people. The safety of our residents and visitors and the protection of our environment are two of our main priorities in Greater Manchester. Construction activities have the potential to impact adversely in both of these areas. We are keen to work alongside the Considerate Constructors Scheme to promote collaboration across the industry and encourage the implementation of best practice, particularly to manage and reduce work related road risk. In relation to TfGM’s operations, all major infrastructure projects require that contractors register with the Considerate Constructors Scheme and comply with the Code of Considerate Practice. The Worshipful Company of Constructors is one of the Modern Livery Companies in the City of London. With over 300 members it represents a broad range of practitioners in the construction industry, many of whom are members of a cross section of professional institutions. We have eminent professional, building surveyors, engineers, project managers, architects and construction lawyers amongst our membership, all of whom are dedicated to enhancing the image of construction in the 21st Century. The Company is extremely proud of its charitable works within the construction sector and through the support of our Charitable Trust and partnerships with several other organisations; we are able to offer an impressive array of Scholarships and Awards. *Construction Products Association and the Construction Industry Council are Scheme Supporters in their own right, they are also shareholders and owners of Considerate Constructors Scheme Ltd. Please click here for information on the structure of ownership of the Considerate Constructors Scheme.